When it comes to pregnancy, birth and breastfeeding, an evolving body of research repeatedly shows that any intervention, no matter how simple it seems, may disrupt the body’s natural hormone release during labor and create problems that, in turn, must be managed with additional interventions—which may have risky side effects for both those in labor and the baby. Ironically, natural birth isn’t always the norm. Today, birth is often interrupted by procedures designed to start, maintain and finish labor according to an arbitrary schedule. Fewer people experience their pregnant bodies progressing through labor in their own time, in their own way. In light of such evidence, the World Health Organization (WHO)—a leader in the international public health effort to promote safe and healthy birth—encourages maternity care providers to use interventions as infrequently as possible. The WHO identifies four maternity care practices, and Lamaze childbirth experts add two more—(marked with an asterisk *)—that are tried-and-true ways to make birth as safe and healthy as possible for pregnant people around the world. 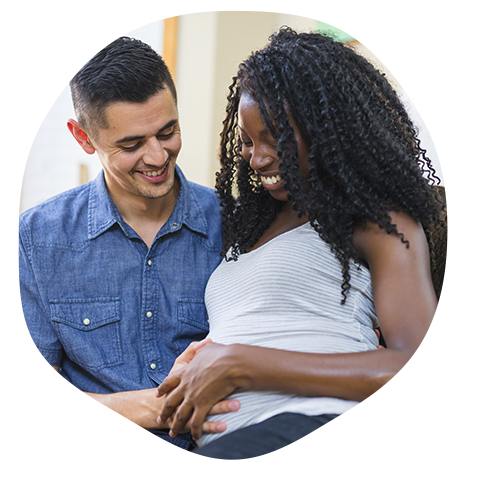 The Lamaze Six Healthy Birth Practices help simplify your birth with a proven practices that help alleviate your fears and manage pain regardless of your baby's size, labor length and complexity or confidence level. Keep mother and baby together; it’s best for mother, baby and breastfeeding.